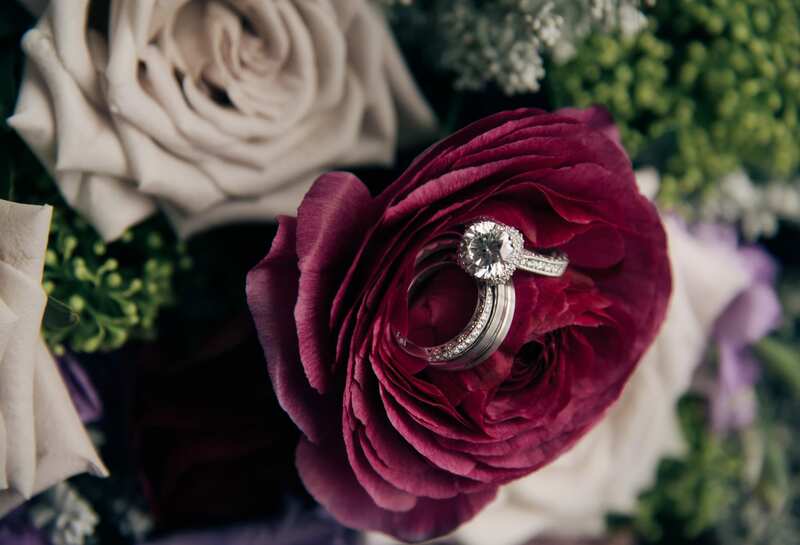 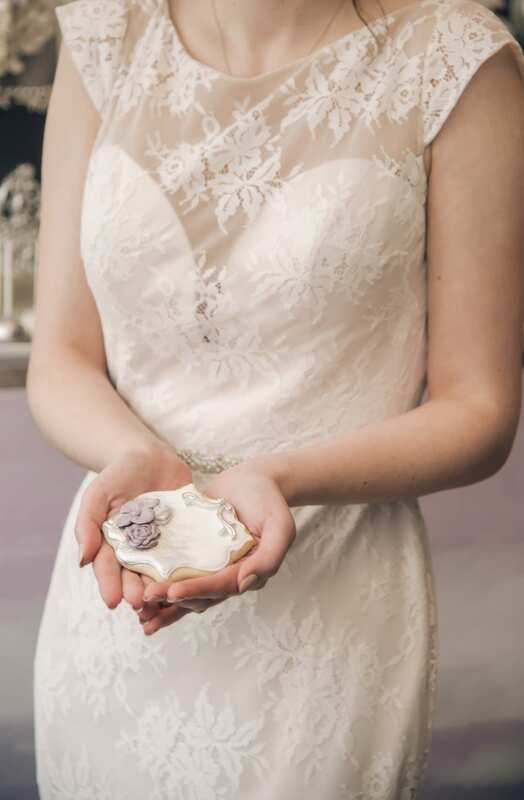 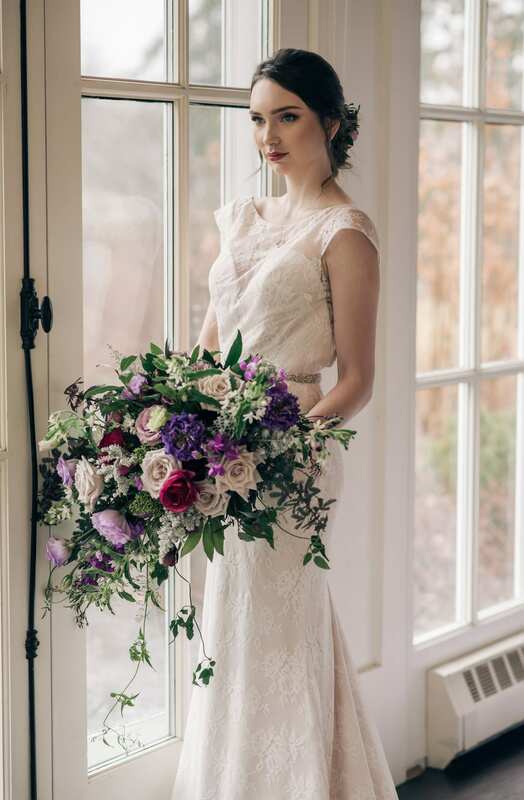 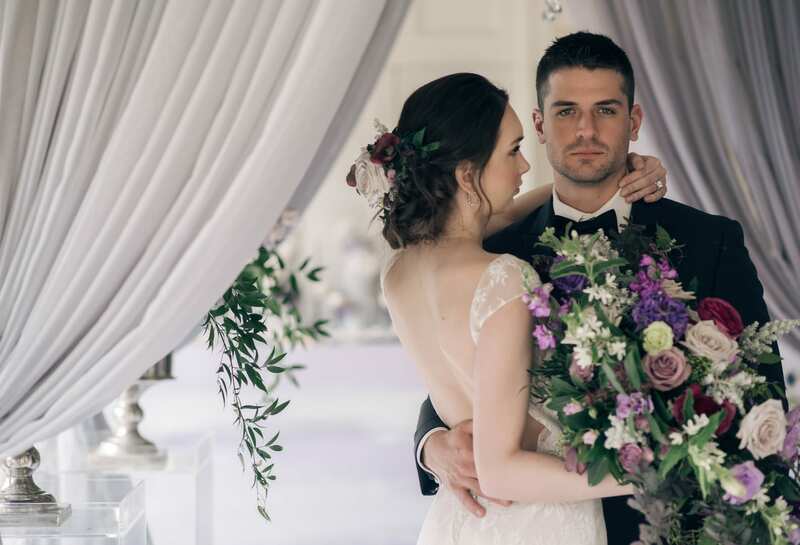 For all weddings that focus on complementary matches, this style shoot by Nova Markina Photography is a study of just how beautiful unconventional, even contrasts–can be. 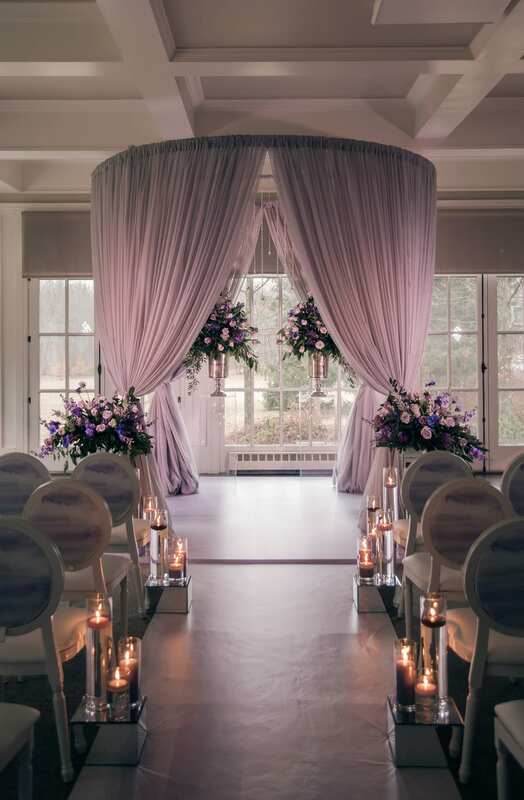 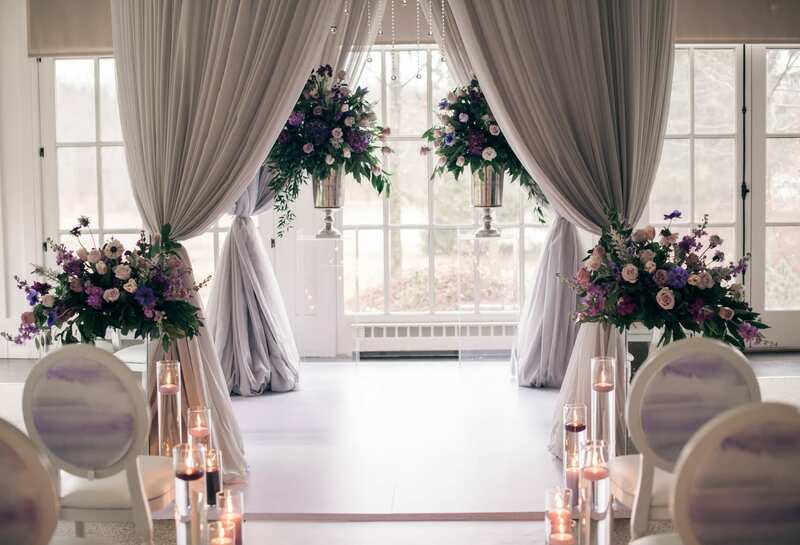 That starts with the venue: Langdon Hall was built in Canada by an Englishman of American wealth, who wanted to design an estate inspired by French Châteaus. 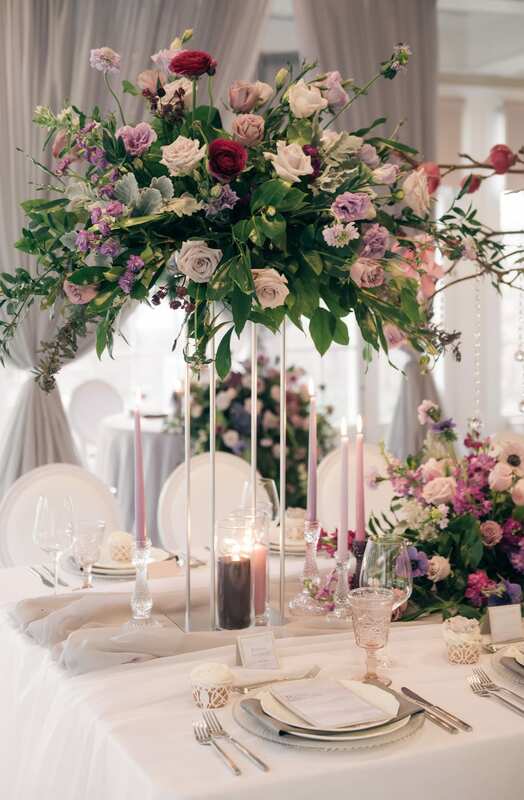 The result: unconventional, refined elegance. 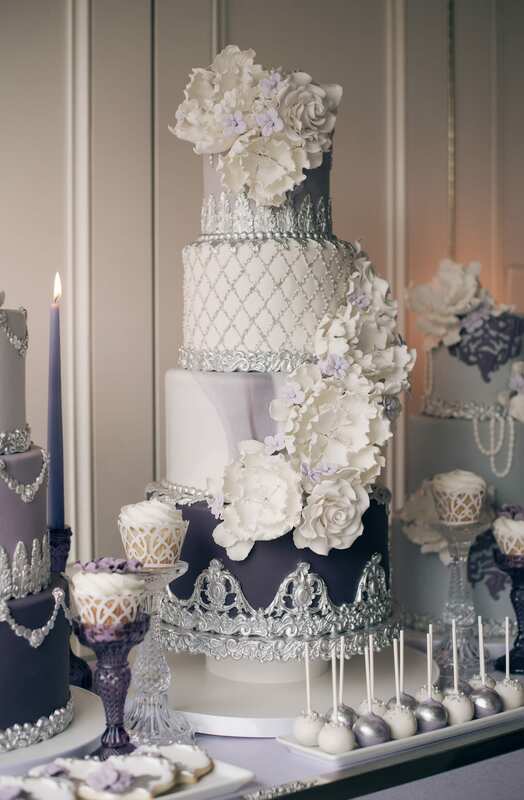 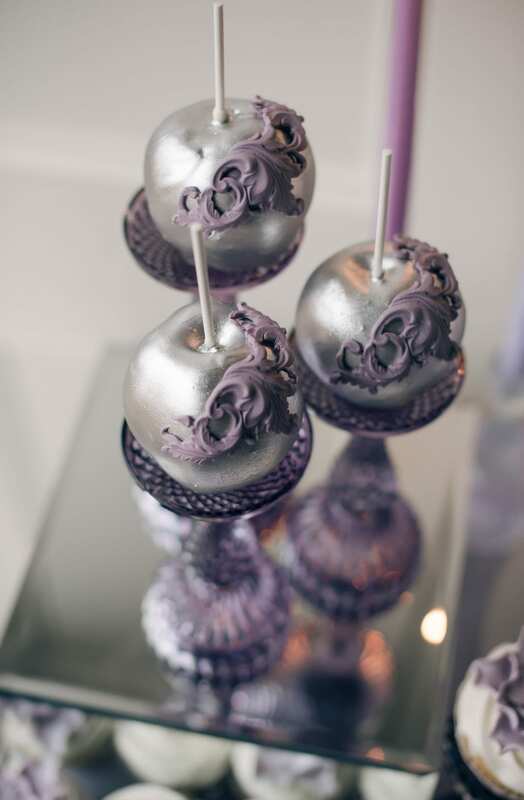 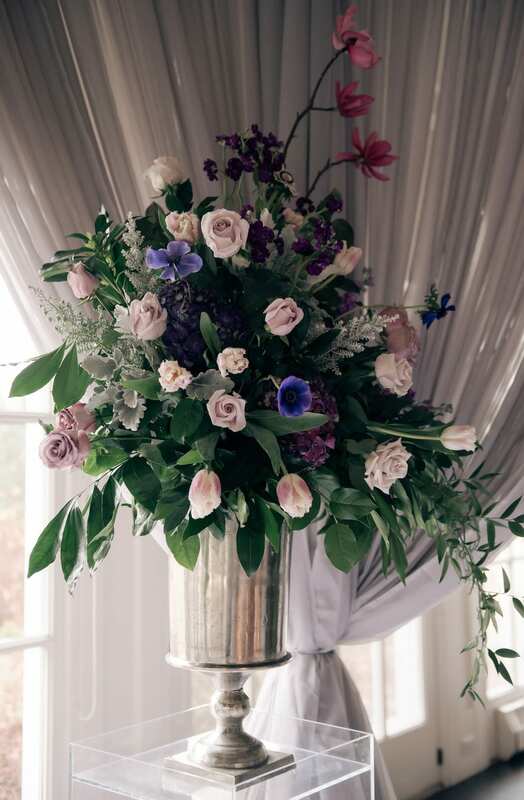 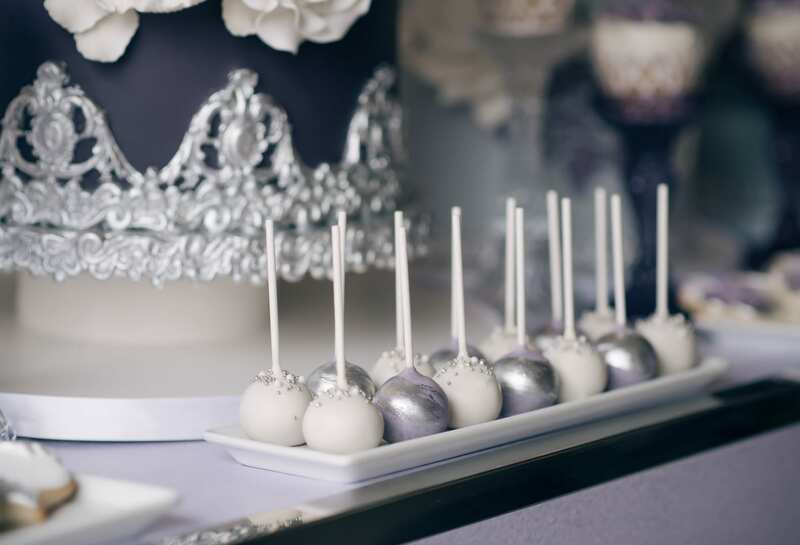 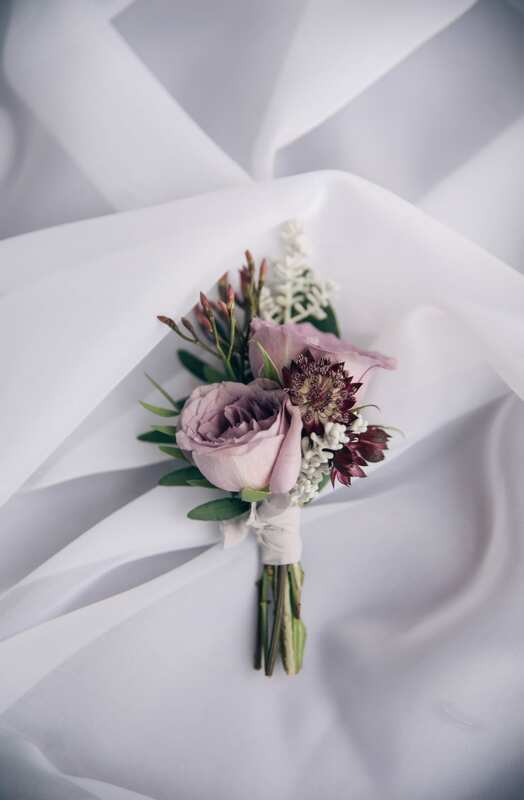 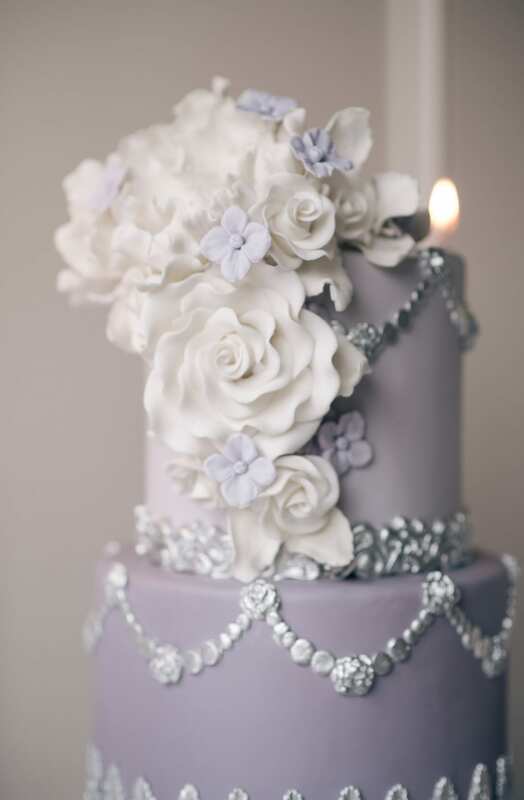 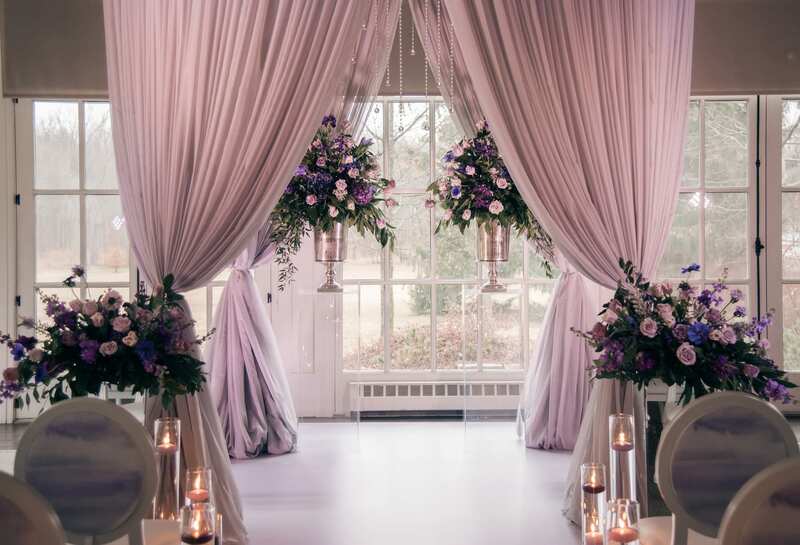 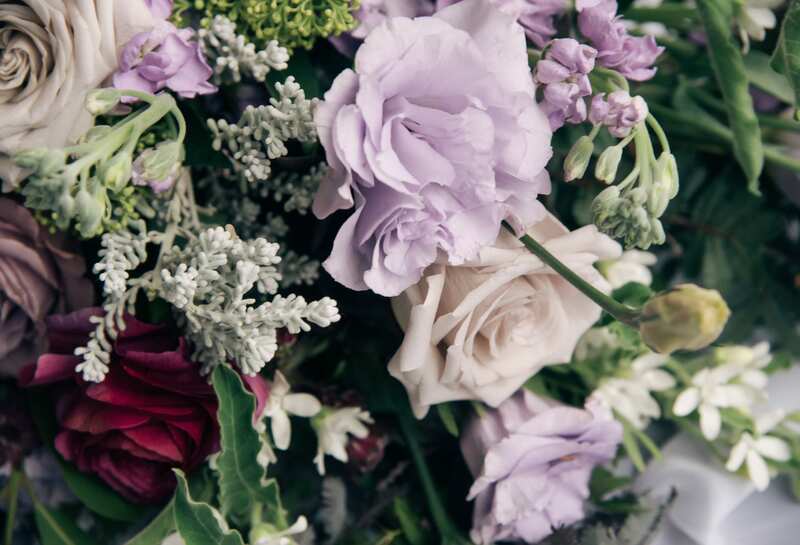 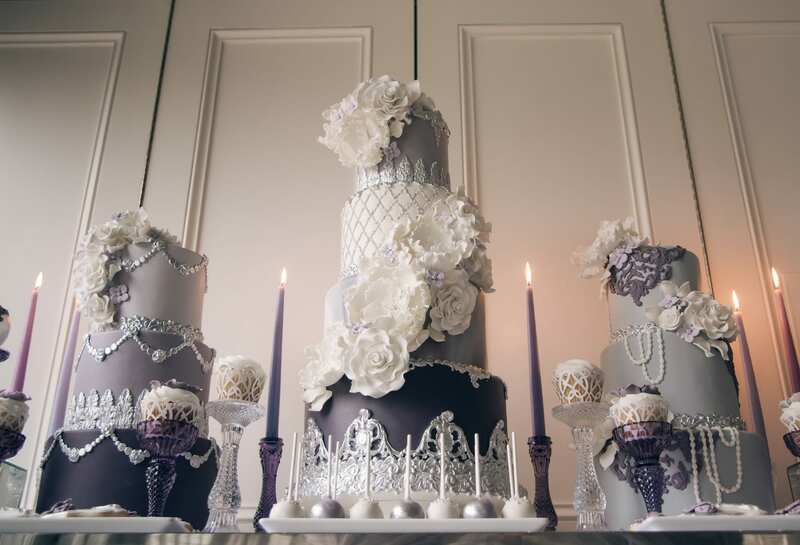 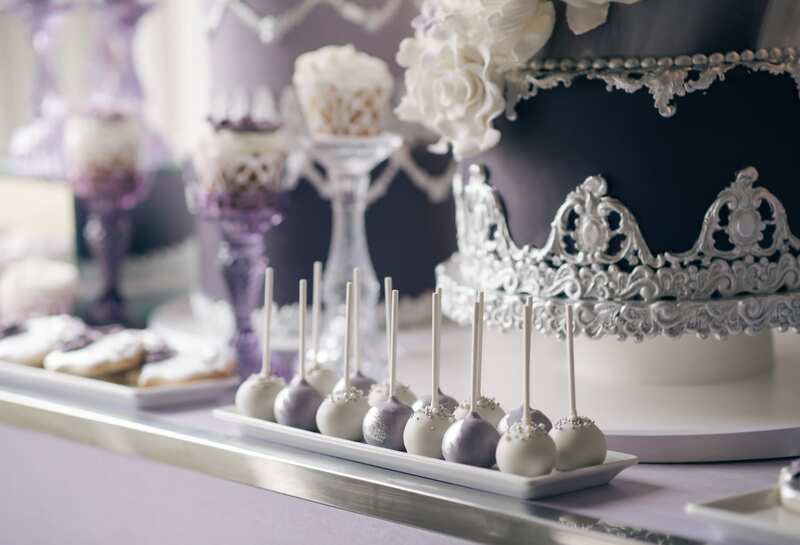 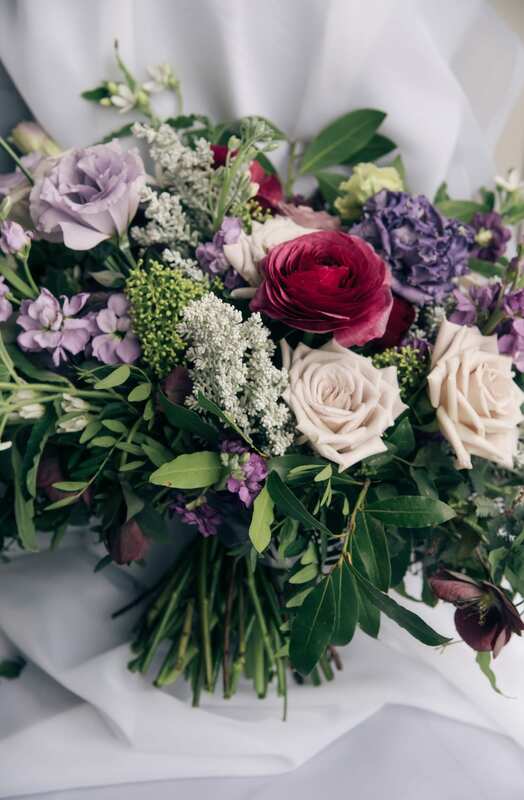 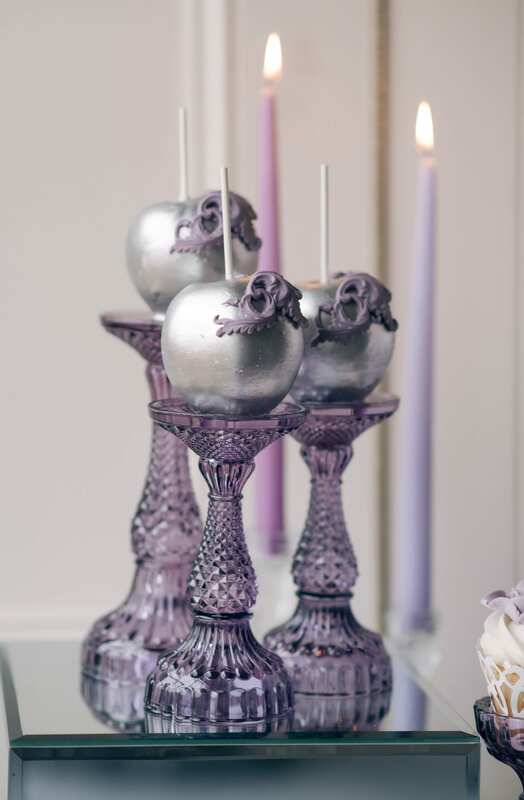 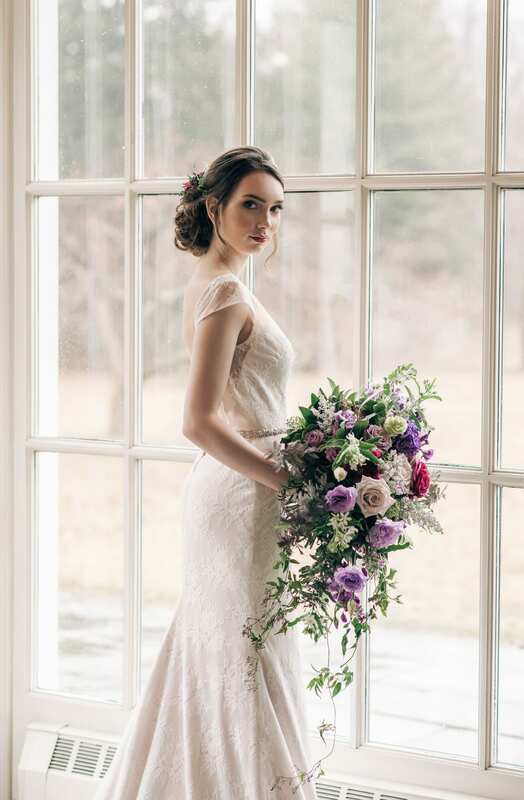 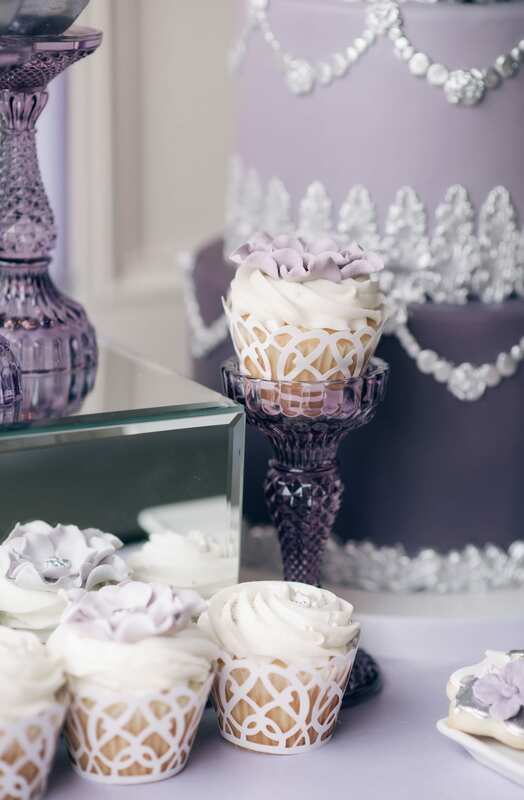 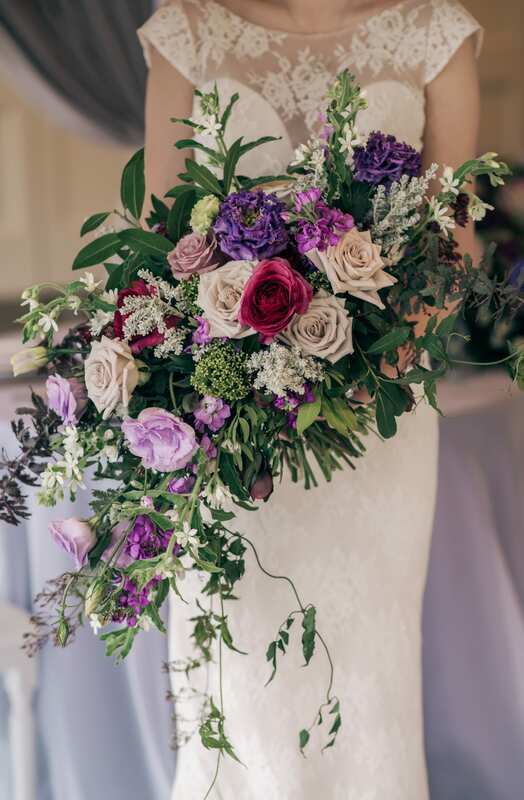 We see that same theme in the plums and lavender hues that are at once soft and bold, classic and modern. 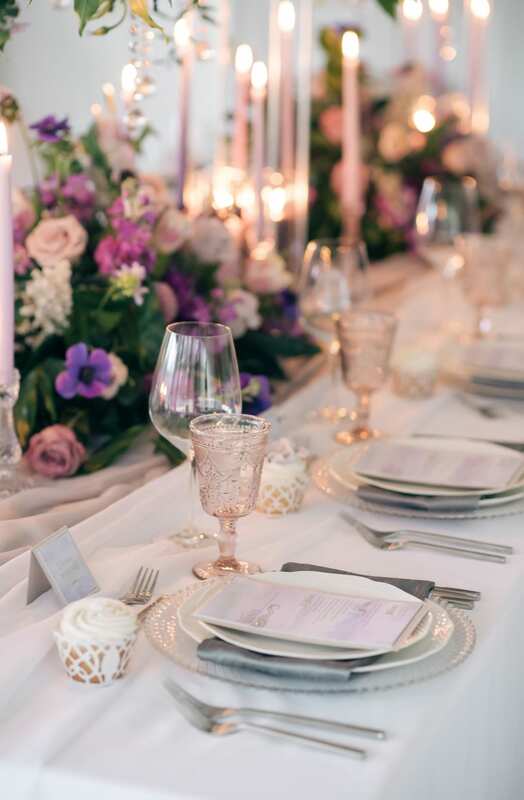 Abundance of a regency is evident, in draped pearls, bejeweled cupcake holders and rose gold-rimmed goblets. 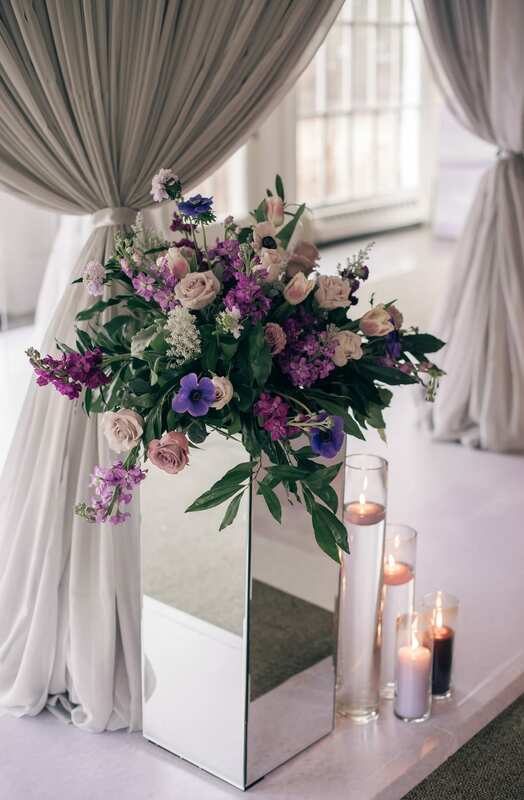 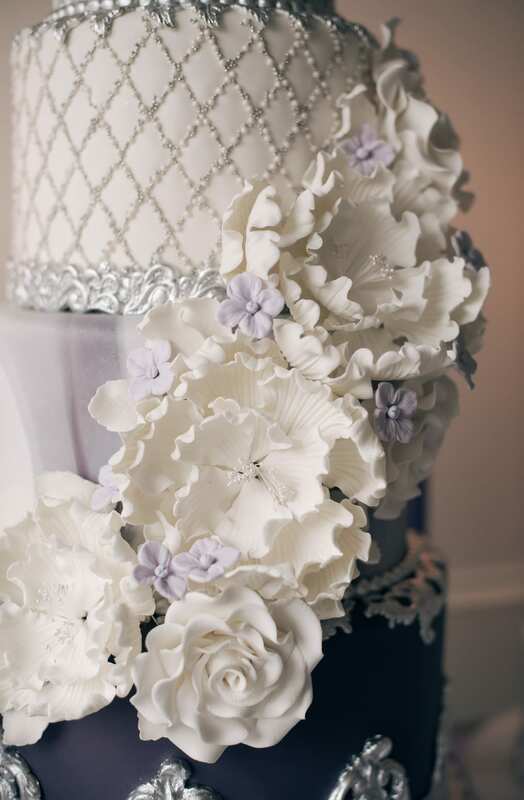 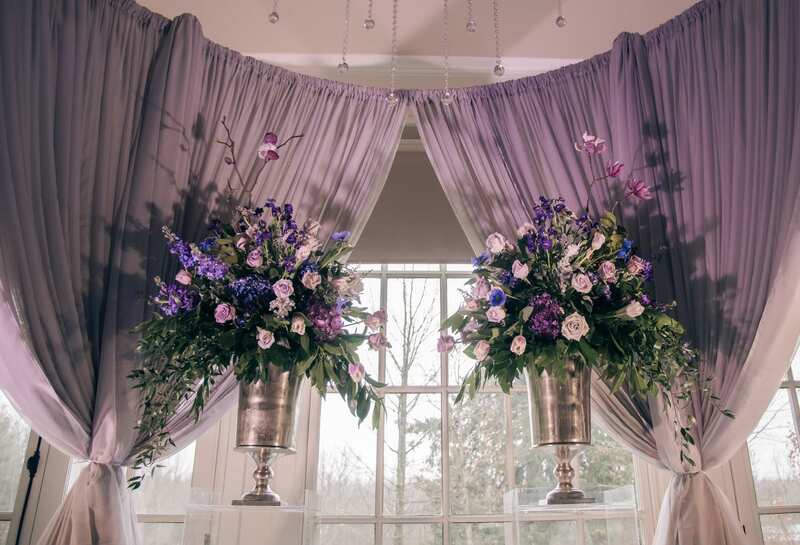 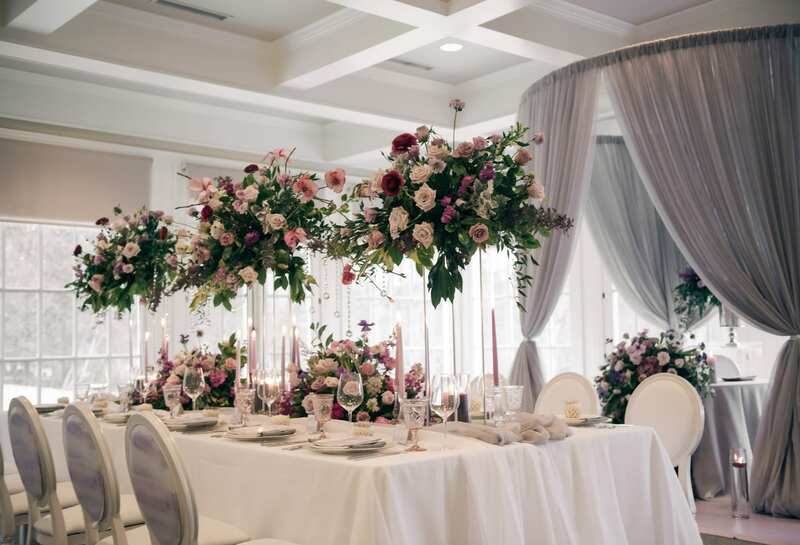 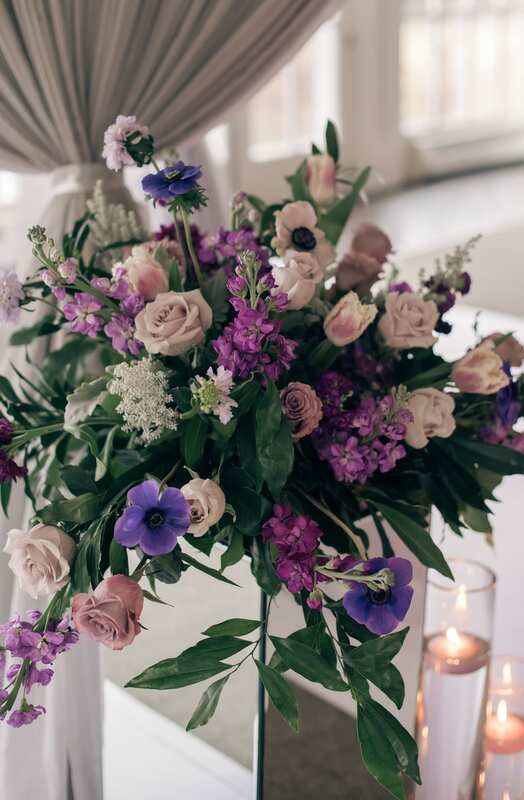 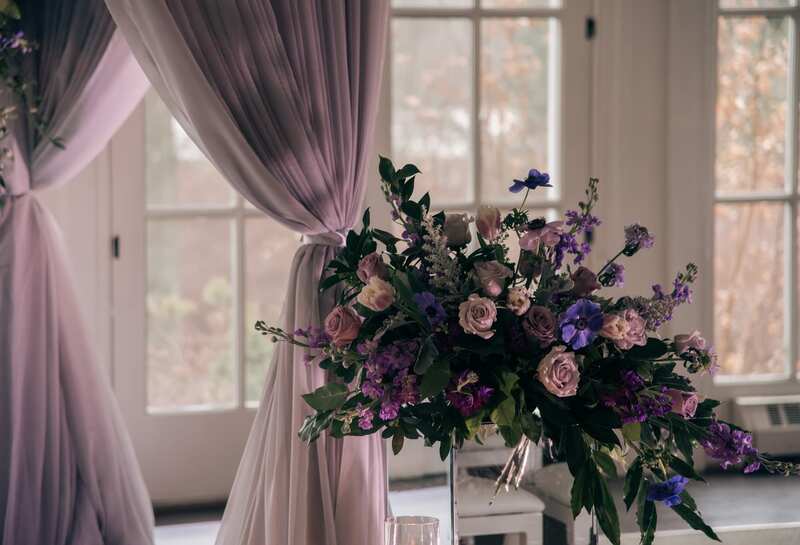 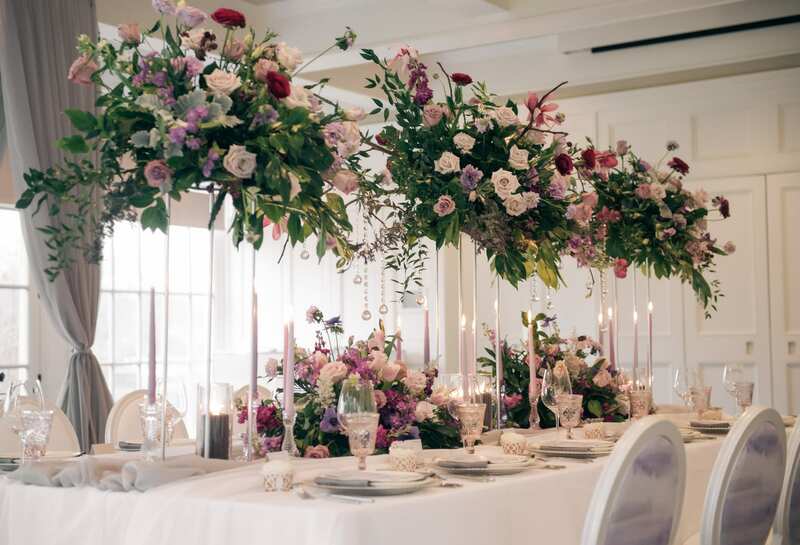 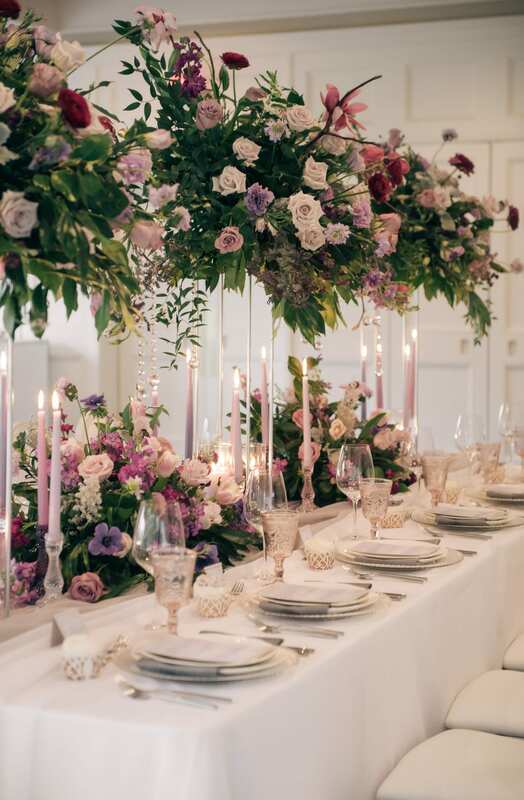 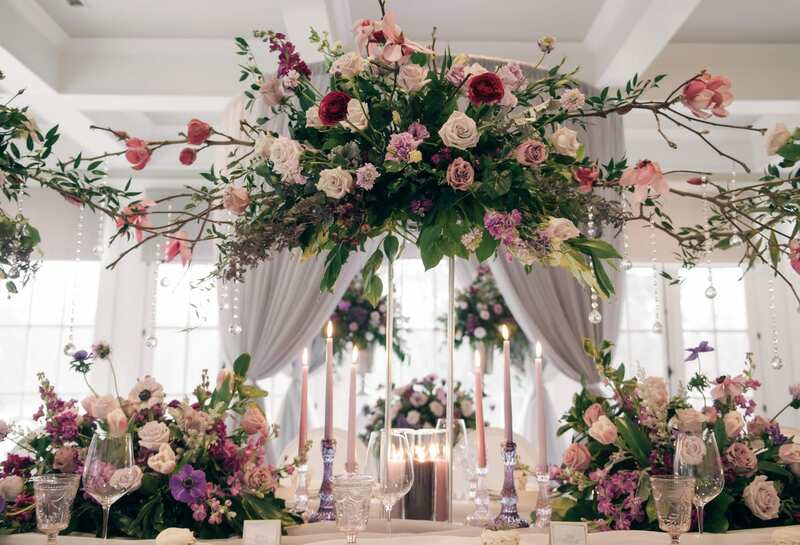 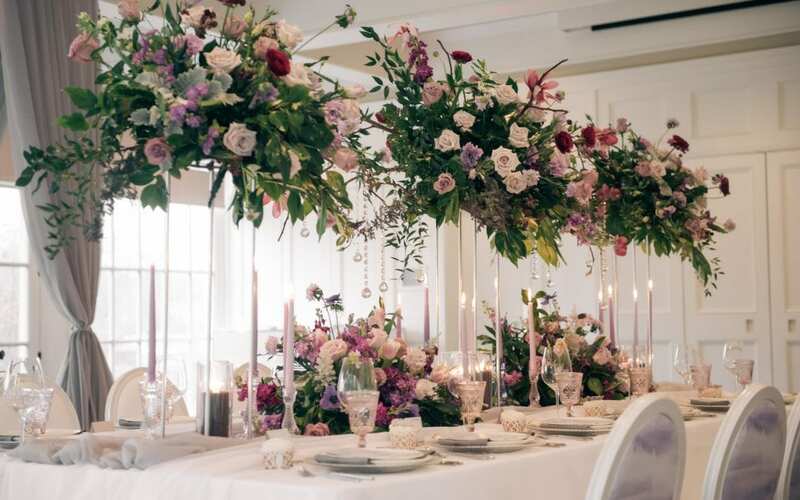 White, purple, and bush flowers hang from the ceilings, cover tables, and nestle lavender candles. 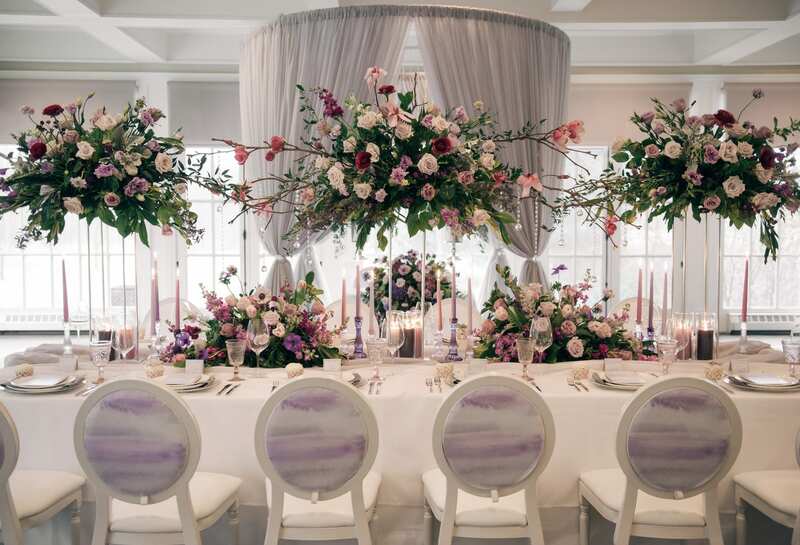 Even the modern-French style chairs have a dash of purple across their backs. 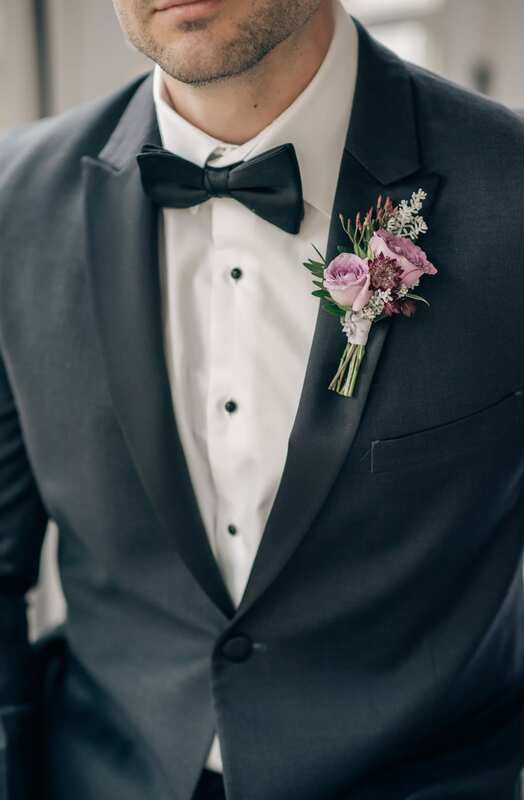 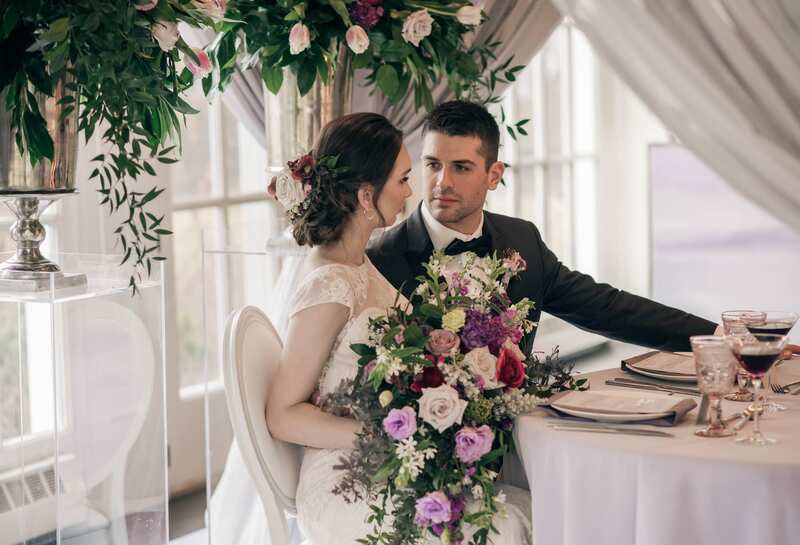 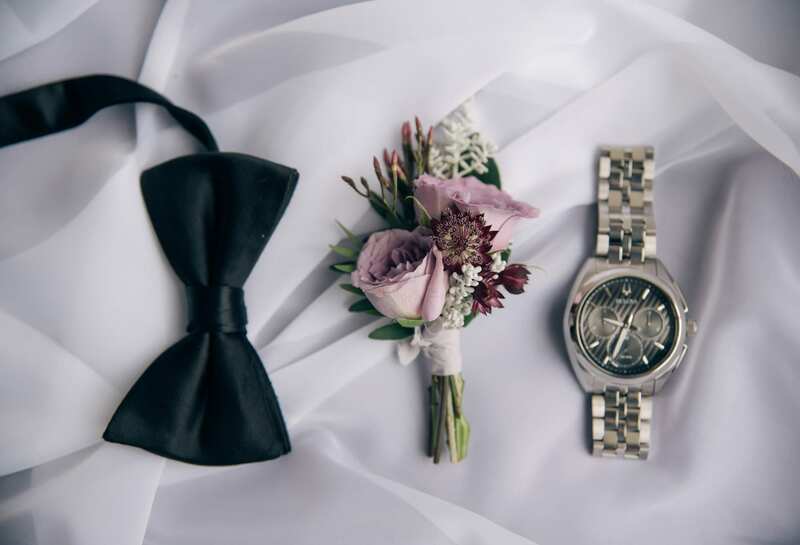 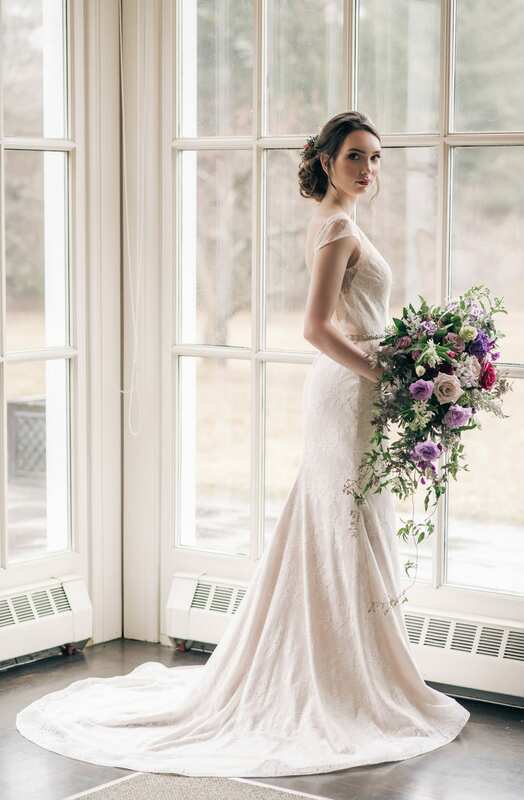 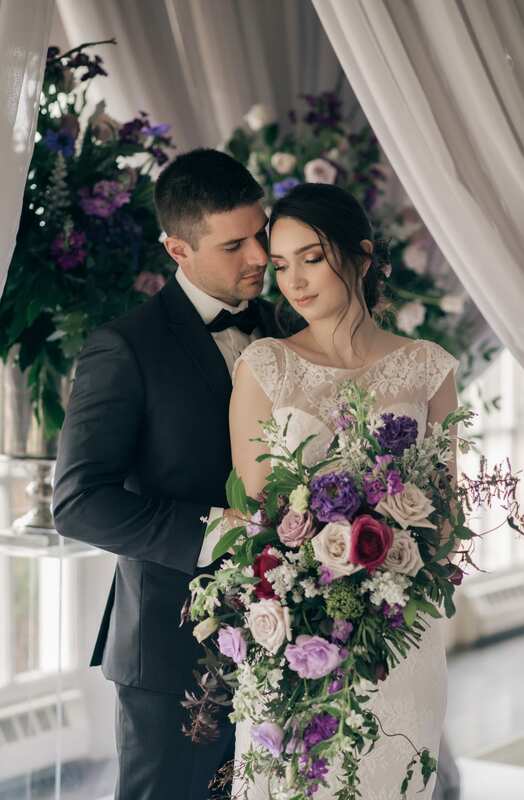 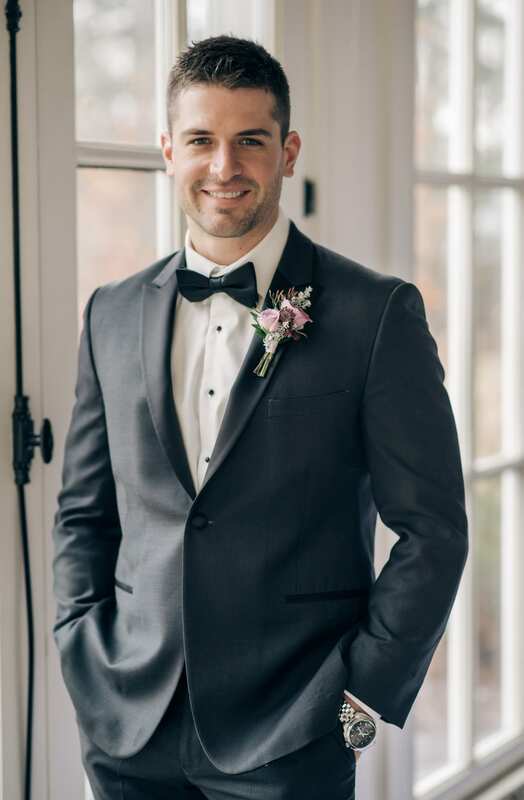 The couple themselves are classic vintage, with a black tux and bow tie, and a gorgeous gown with cap sleeves, illusion neckline, and large floral print over a sweetheart bodice.